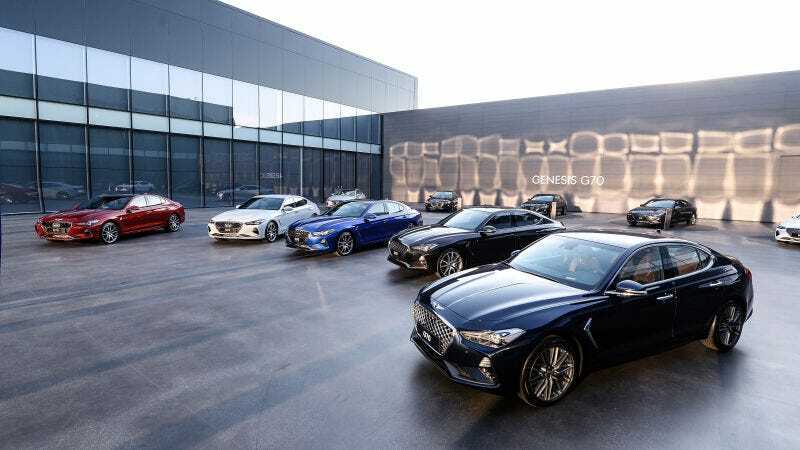 After initially restricting the Genesis luxury brand to only a select number of dealers, Hyundai came to the revelation that more distribution leads to better sales and has decided that now Genesis models can be sold to through any Hyundai dealer. According to Automotive News, Hyundai is reversing course on an earlier plan to only sell Genesis cars through a separate retail network of only 100 stores in 48 markets, mostly situated in urban areas that have more market share for luxury cars. Only Elite-Level dealers would have been allowed to join the Genesis network and many stores would have been cut out of the opportunity to sell the higher-end models. Needless to say, most of the existing dealerships were not happy with that plan and pushed back. Now Hyundai is opening up the opportunity to sell Genesis models to any store that would qualify under the new program. In order to be a Genesis dealer stores would have to sign a new franchise agreement, though the details of that would depend on state regulations, and the location would have to have separate sales and service facilities for Genesis customers. While it’s understandable that Hyundai would want to be more selective when determining what stores represent their luxury brand, potential customers were concerned about having to travel too far to get their car serviced. This increase in distribution channels should alleviate this problem. However, Hyundai and its sister brand Kia have not had the best track record in creating a luxury brand experience for that kind of clientele. As a professional car shopper, I’ve attempted deals with numerous Hyundai and Genesis dealers and can say based on first-hand experience many of these places have a long way to go to offer the same kind of customer interaction that a potential buyer would expect from a Lexus, BMW, or Audi store. As we saw with Kia’s attempt to move upmarket with the Stinger, the actions of a few dealers that care more about short-term profit than long-term customer experience can set a brand back. Since the new G70, which shares components with the Stinger, will be Hyundai’s new entry-level sports sedan, Genesis stores will need to be careful not to alienate luxury car buyers. Hopefully, enough Hyundai dealers have already learned that lesson the hard way.